Take a moment to center yourself before experiencing the magic of Live on the Green's finale! We'll be kicking off the day with a guided yoga session right in front of the main stage. This is intended for experienced yogis and beginners alike, so no worries if you don't want to carry a mat! Just stake claim to your space of green and join in the fun and relaxation. Live on the Green's final day kicks off with Kids Fest on the 615 Stage at 12:00, but the music will go all day long and into the night, ending with our Saturday headliner, Jimmy Eat World! Want to shower after yoga? You'll have plenty of time. Want to stay and hang out with us all day? We'll be sweating too - and loving every minute of it. Price: FREE! The concert, the yoga, all of it! Kids Policy: This event is open to all ages. Pets Policy: Live on the Green is dog friendly, but please please please keep track of your furry friend if you decide to bring them. If you're pet doesn't do so well with loud noises, bright lights, or large crowds, consider leaving them at home. Weather Policy: Live on the Green is a rain or shine event. In the case of severe inclement weather please check the Live on the Green App for real time updates. You can also tune in to 100.1fm or find the information booth for more information. 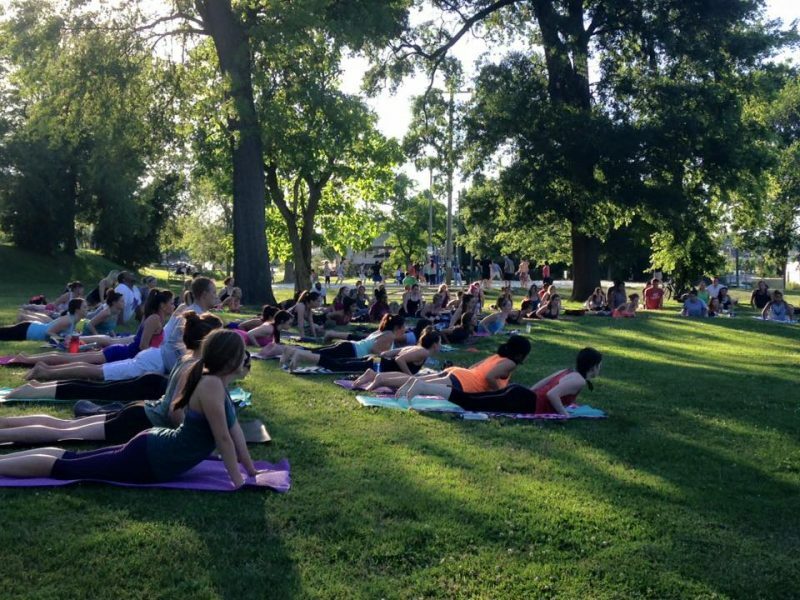 Yoga on the Green is a drizzle or shine event. In the case of heavy rainfall, the event will be cancelled. Registration: There is no registration necessary.